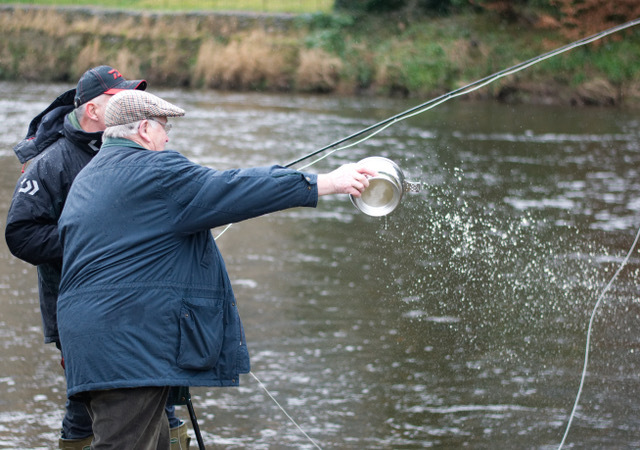 Upper Clyde Angling Protective Association is the oldest Angling Association in Scotland that i’m aware of. In fact yesterday they were celebrating being existence for 130 years – here is to our own UAAA making a hundred thirty in the years ahead. Hats off to the organisers of the event who did a marvellous job of making it a most memorable day. There must have been a lot of hours & blood sweat & tears into making it all come together. 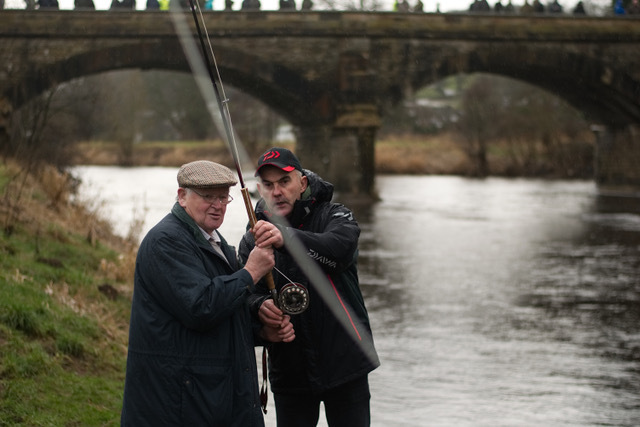 Munro Reid & Hywel Morgan spoke highlighting the need to get youth into angling as like many sports & pastimes in the UK many clubs have ageing memberships & committees. Without the youth coming into the clubs to replace them. Take a kid fishing this year please and breed a few more Munro Reids & Wullie Weirs to populate and support our clubs into the future. Hywel makes his point about getting youngsters into angling. 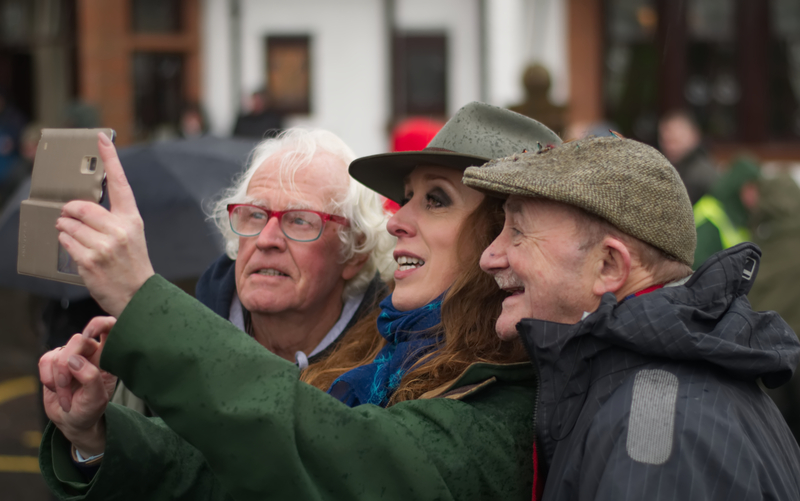 Linda Mellor getting some selfie action with Paul Young. 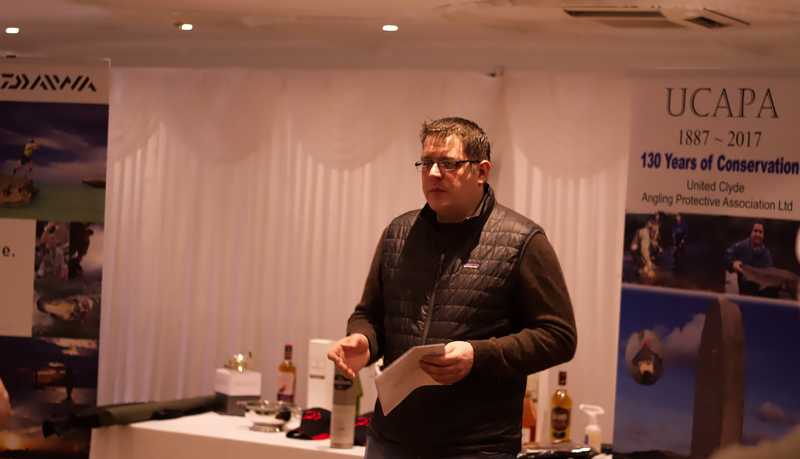 There was a casting event for the kids too – with a fantastic prize of a full fly angling outfit donated by event sponsors Daiwa Sports the Fishing Tackle manufacturer based locally in Wishaw. 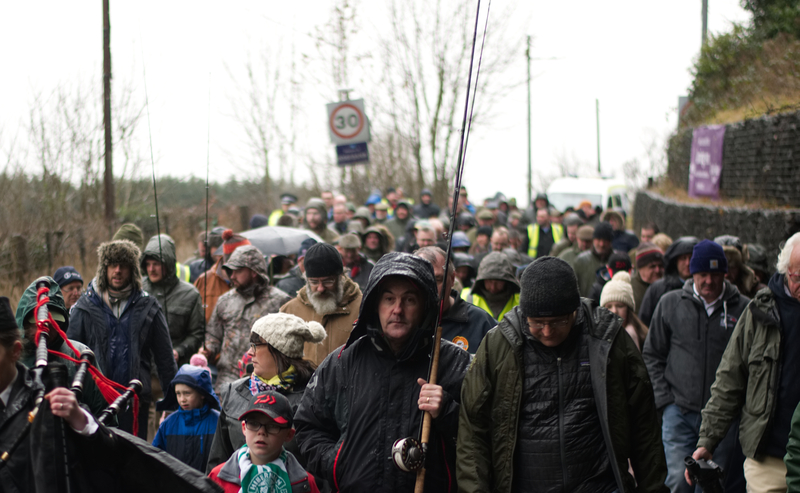 Just some of the crowd ready for the Piped March to the River – the weather didn’t deter. The day was not spoiled by the weather….. The opening day cast Hywel Morgan & UCAPAs longest serving member 65 years a member!!! 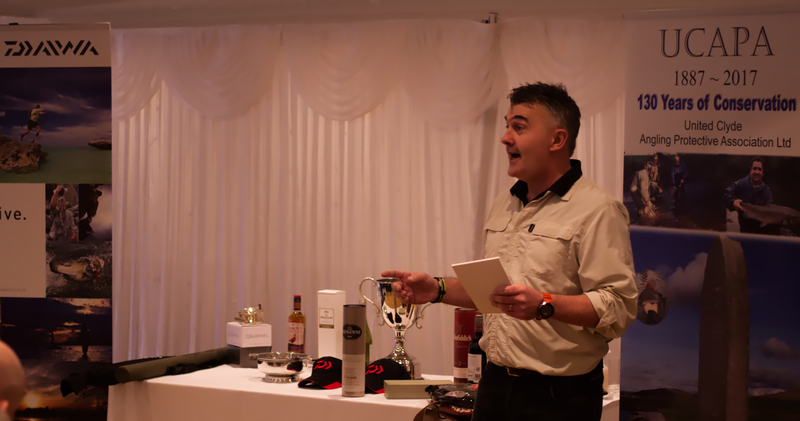 The Popinjay Hotel was a fantastic host with lots of Bacon Rolls & Coffee for the assembled crowd – there was a great raffle with lots of excellent prizes – there was even a days fishing for two on Glengavel Reservoir donated by the UAAA. Well done UCAPA – Happy Birthday. Well done Munro and all the other contributing members of UCAPA for such a well organised opening day.